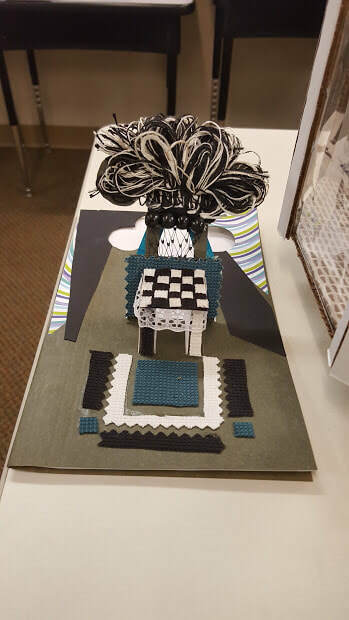 Campers will create models of architectural spaces, functional objects and invent new design solutions for living spaces. 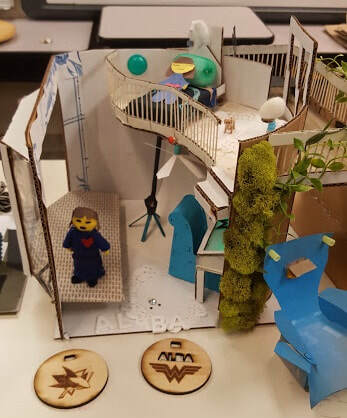 They will go through the design thinking process as they construct cardboard models of their dream bedrooms and embed circuitry into their structures. 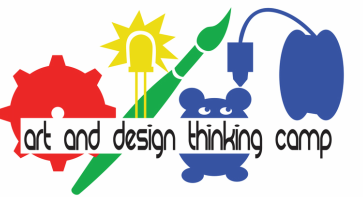 Campers will use Tinkercad (a 3D rendering tool) as well as traditional prototyping materials and circuitry in their design explorations. The projects will engage campers in calculating ratios and proportions to develop scale models. ~ Looking through a window, what does one see in your world? ~ Will you depict an exterior or interior space? ~ Cut shapes and tape on cardstock that will be behind your window frame. ~ What is your dream world view? Is it of an interior or exterior space? ~ What was the hardest thing about this activity? ~ What was the most fun? 10:30am Activity/Lesson: Brainstorming on your dream bedroom. ~ Think about your user, you. Write and sketch thoughts. ~ Begin to draw floor plan on scale grid. ~ Campers will spend a few minutes sharing ideas for their dream rooms. ~ They then will complete their floor plans and translate it from grid paper to large sheet of cardboard. Activity option of doing a spinning top with a pager motor. ~ Ways to embed circuitry into the walls and floors of your dream bedroom. ~ Campers draw circuit paths in journal and start to map circuit paths on large models. ~ Students create a log journal for what they imagine doing on Mars. ~ They create one day’s entry from morning to night. ~ How might you imagine a habitat for Mars? ~ How might you design a space for eating, sleeping, playing, or growing food? 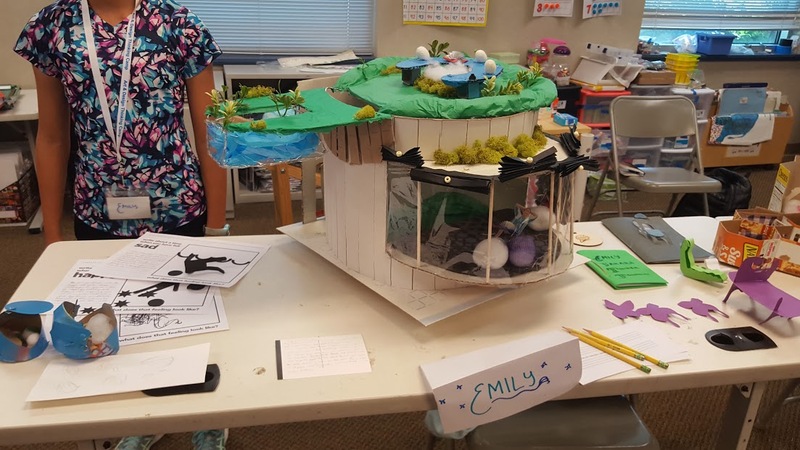 ~ Explore the criteria and constraints and build a model of a design solution that connects to your neighbor’s habitat. What emotional and physical needs does your design address? 10:30am Activity/Lesson: Sharing back: What was the biggest challenge? What was the most fun?